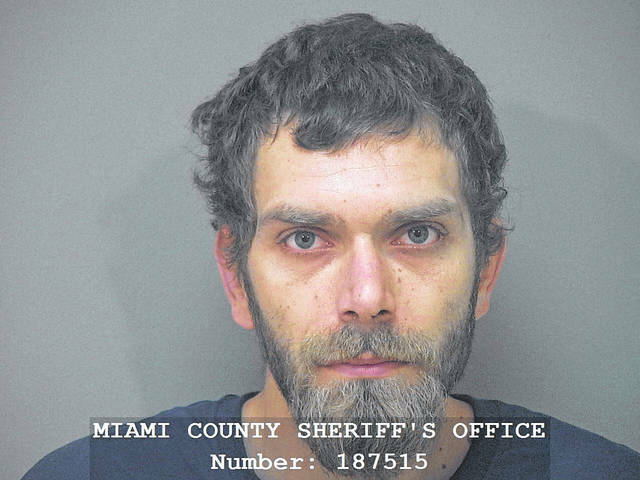 PIQUA — A local man is facing a felony burglary charge after a dispute with a neighbor became aggressive on Saturday night. Justin P. Cydrus, 32, of Piqua, was arrested on first-degree felony aggravated burglary on Saturday. According to Piqua police reports, a subject reported her male neighbor, Cydrus, forced entry into a residence on the 300 block of South Roosevelt in Piqua on Saturday at approximately 11:30 p.m. Cydrus then allegedly hit another occupant in the home on the face twice. The disturbance reportedly began due to a noise complaint. Photographs were taken of the victim’s injury. Cydrus denied harming the victim. He was arrested and incarcerated in the Miami County Jail that night. He is continuing to be held in the jail on $2,500 bond. Cydrus was arraigned in Miami County Municipal Court on Monday. A preliminary hearing is scheduled for Dec. 5. • A victim reported being assaulted by a known male subject on the 1300 block of Covington Avenue in Piqua on Sunday at approximately 5:30 a.m.
Eric B. Clay, 23, of Piqua, was charged with first-degree misdemeanor assault and third-degree misdemeanor unlawful restraint in connection with this incident. • There was a report of a female subject acting suspiciously in the parking lot of O’Reilly Auto Parts and reportedly looking in the complainant’s vehicle on Saturday at approximately 5:45 p.m. The female subject advised she was looking for her keys. While assisting the female with finding her keys, drug paraphernalia was located, according to Piqua police reports. Heidi S. Miller, 40, of Cincinnati, was cited with fourth-degree misdemeanor possession of drug paraphernalia in connection with this incident. • A female subject allegedly stole items from Walmart in Piqua on Nov. 23. The female was arrested and charged. Tanzaneia M. Jones, 35, of Piqua, was charged with first-degree misdemeanor theft in connection with this incident.